Running a full node is an important part of any cryptocurrency's ecosystem, as it helps keep the system decentralized and secure. But as a user, not everyone has the resources to broadcast and store the blockchain in their computer, which is strictly required when running the Ethereum Browser, Mist or any other full node wallet solutions. Mist can be used as a simple wallet to send and receive payments, but it requires users to run a full node and it takes a while to sync. If you want to create a new wallet without having to download the blockchain or simply haven't done so in a long time and don't wish to download a big part of it, you can simply use the web based application, MyEtherWallet. My Ether Wallet is not a standard Web Wallet. It does not allow you to create an account and to store your Ether on their servers, they simply allow you create a wallet, which is yours to store and keep safe, and to broadcast your transactions on the blockchain through their full node. In this guide we'll show you how to create a new wallet, back it up and how to send a transaction, both online and offline. Step 1: If you have used mist before, you have created a wallet and have the private key for that wallet stored on your computer, find your keystore and you can skip to part 2. If you need to create a new wallet, you can use MyEtherWallet to do so. Simply visit MyEtherWallet, enter a strong password and generate a wallet. Step 2: Store your Private Key. You have 3 ways of doing this. You can download .JSON file with an encrypted version of the private key which is compatible with geth, mist and myetherwallet and requires a password to decrypt (Keystore). You can also store unencrypted version of your private key by downloading it in a .JSON file or by copy pasting it from the website. We recommend you use the Keystore (encrypted) feature, which provides an additional layer of security to your wallet. 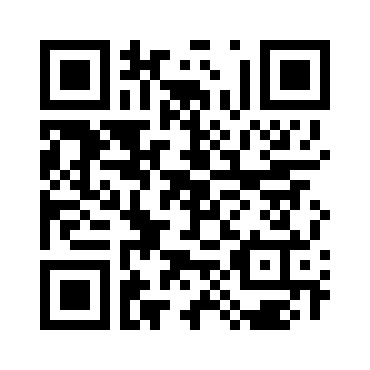 Step 3: Save your wallet address or QR code. In order to receive transactions you must give the sender a public key to which he can send the Ether to, you can copy the text format or the QR Code. The QR code can also be used to make a paper wallet. Step 1: Once you have your wallet you can now send and receive transactions. All you have to do is upload the private key file you have created through the MyEtherWallet website or mist/geth. Simply click "Send Transaction", select the type of private key you want to use (Keystore, Json file or Plain text) and click "Select wallet file". Step 2: Select the wallet you want to use. You can check the wallet adress the key belongs to, by looking at the file name and adding "0x" in the beginning of the address. Mist wallet private keys are usually stored in .folder. Once you've selected the correct private key, type the password and click "Unlock wallet"
Step 3: Now all you have to do is fill out the Wallet you want to send Ether to, and how much you want to send. Click "Generate transaction" and then "Send transaction". Step 4: One last confirmation window will appear, click "Yes, I am sure"
Step 1: If you want to make a transaction without the need to expose your Private key to an internet connection, you can use MyEtherWallet. Go to "Offline Transaction" and insert the wallet from which you're sending Ether. Click "Generate Information" and store the Gas Price and Nounce information. Step 2: Download the website here and move the files and extract them to an offline computer. Step 3: Double-click "index.html" and choose "Offline transaction". The Website will look just like the online version. Step 4: Enter the amount of Ether you want to send and the address you want to send it to. Insert the Gas and Nounce previously displayed in Step 1. Step 5: Upload you Keystore file and unlock it with your password. Step 7: Now you can broadcast the transaction to the blockchain, by visiting MyEtherWallet on computer with an internet connection, go to "Offline Transaction" again, paste the information and click "Send Transaction"
Step 8: One last confirmation window will appear, click "Yes, I am sure"
And that's it! You can now create an Ether Wallet within seconds and easily send a transaction without the need to download and broadcast the blockchain! And you can even protect yourself against nasty hackers and evil-doers by generating a transaction offline and broadcasting it on an online computer. Keep in mind that MyEtherWallet is constantly updated to support tokens such as TheDAO or DigixDAO, and it also has a "help" page that will cover any other subject that we didn't.